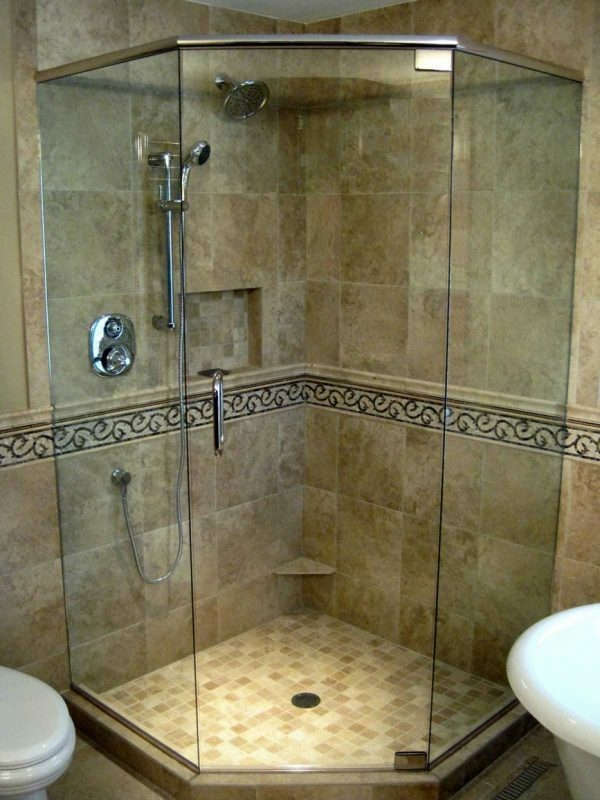 Neo-angle is the perfect layout when you’re short on space, but still want a functional shower that commands attention. 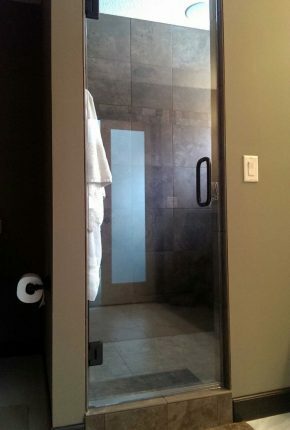 Its unique dimensions are a great solution to working around toilets, cabinets, and other bathroom elements that can impede the movement of your swing door. 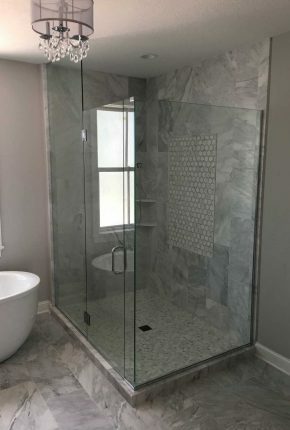 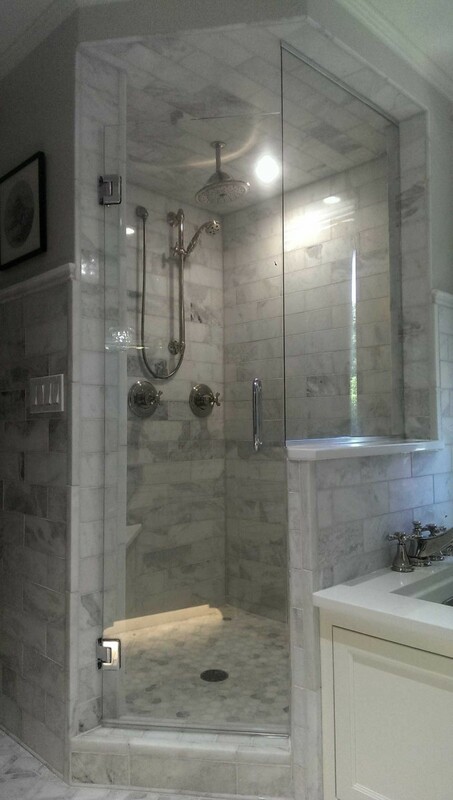 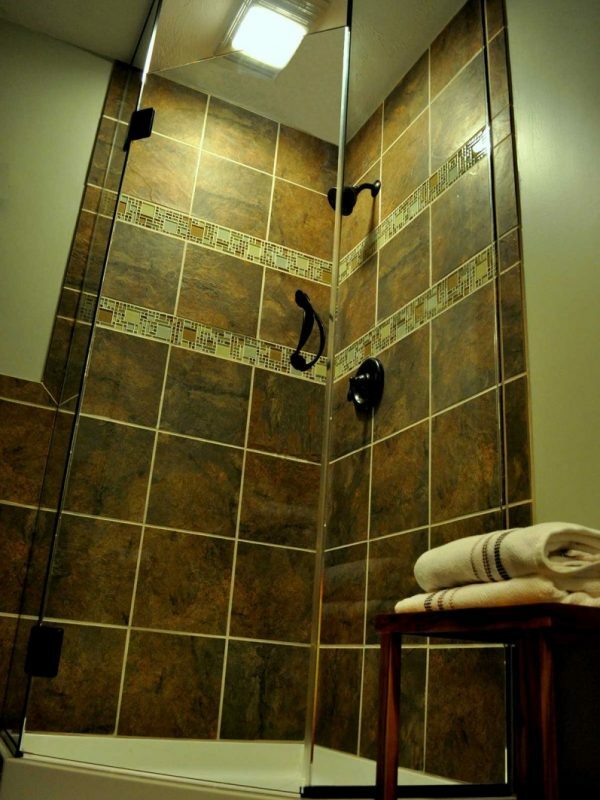 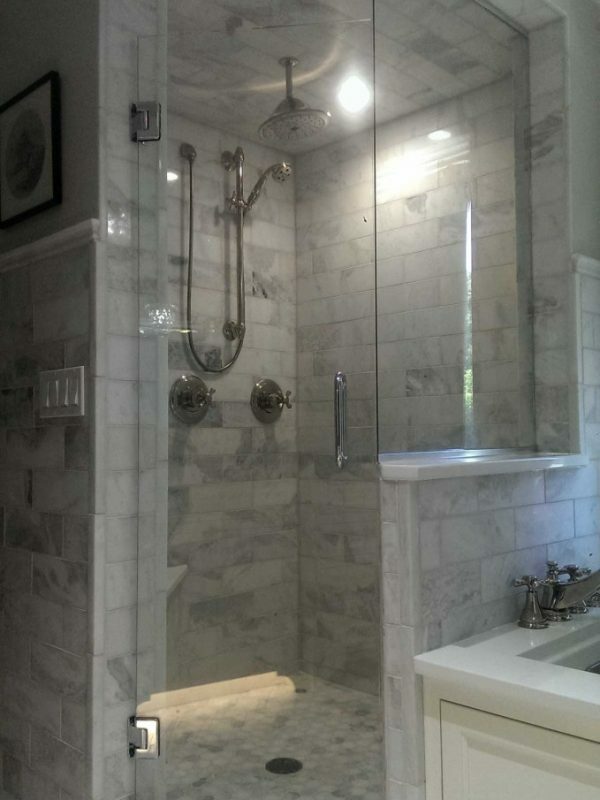 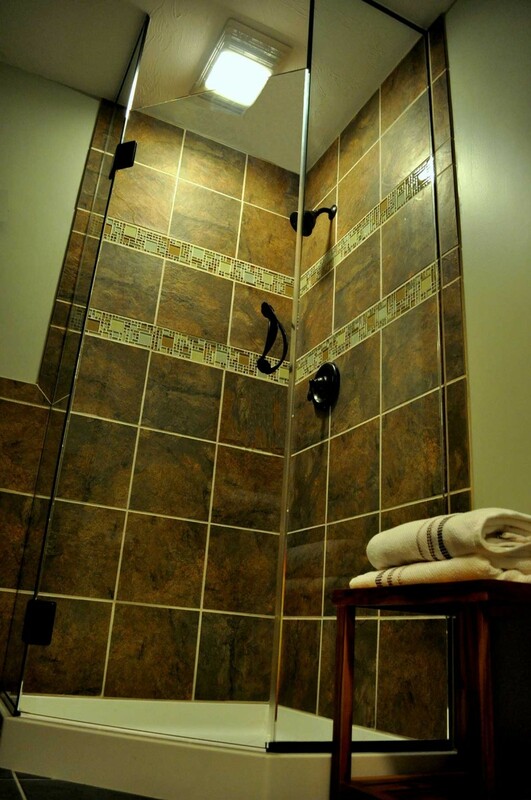 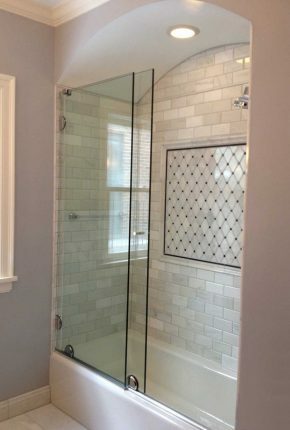 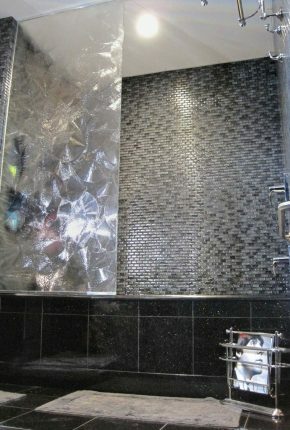 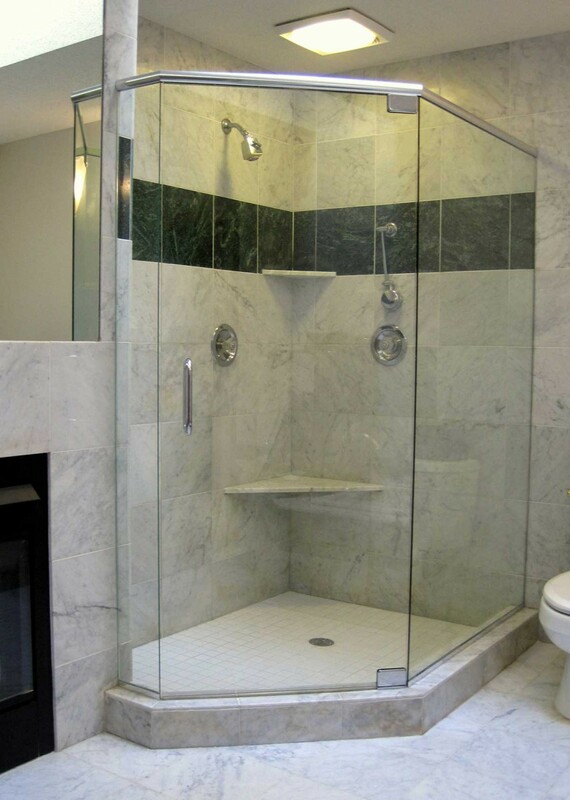 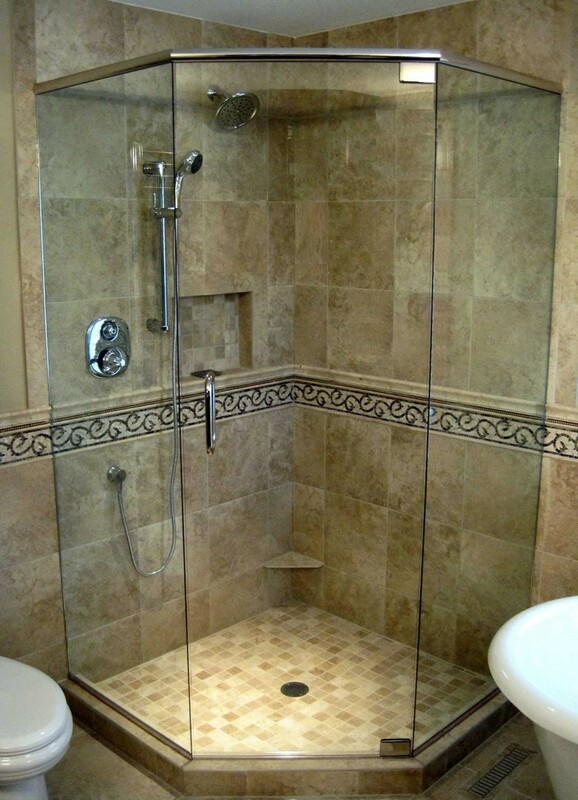 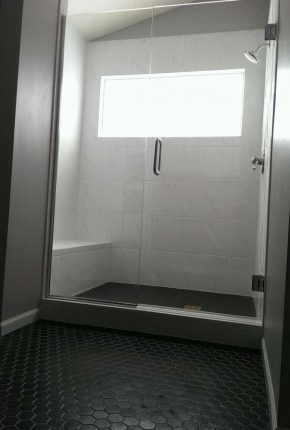 Most often this style shower is secured on top with an attractive header,however there are other options available if this isn’t the look you want for your designer bathroom. 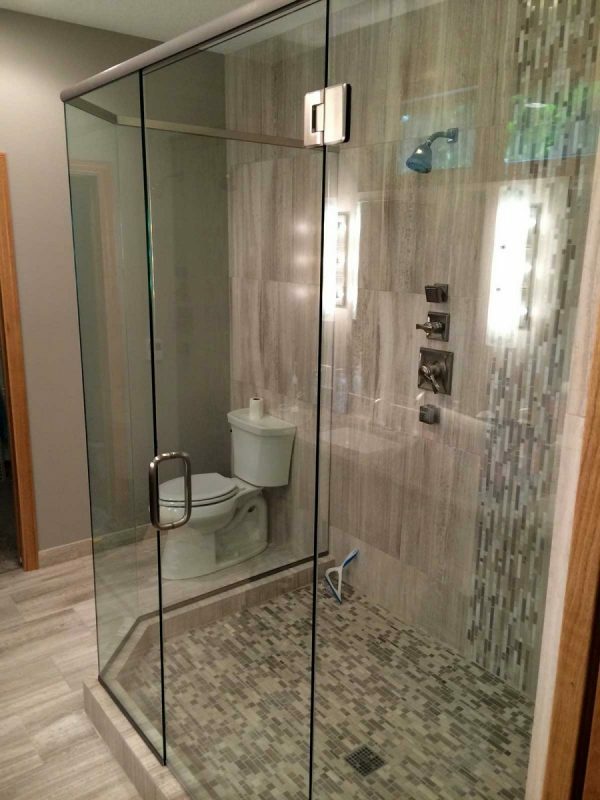 Use 3/8″ or 1/2″ glass.